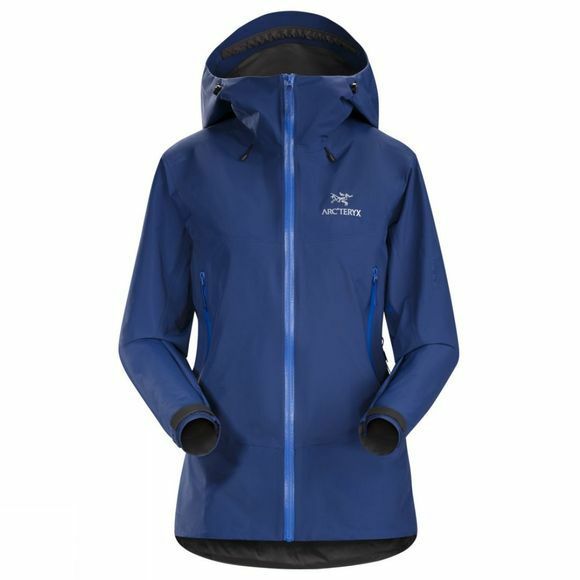 Super light, compressible GORE-TEX®, Women's Beta SL Hybrid Jacket with Paclite® product technology. Designed specifically as packable emergency weather protection. Designed to stay unnoticed until it’s needed, the super lightweight, compressible waterproof/breathable Beta SL Jacket weighs a scant 315 grams (11.1 oz). Made from N40r GORE-TEX® fabric with Paclite® product technology, it delivers proven complete weather protection with a high level of breathability.